In the last few years, the rise of digital assistants has changed the face of technology. Rather than always having to hold your device, you can simply speak towards it and receive some of the information you desire. You can check the weather, the traffic or have your text messages read to you. Of course, you're not always in a great environment to summon your assistant of choice. Whether you're out for a run or in your car, Jinni is the portable solution for accessing your assistant. The device can be clipped onto your clothes, attached to your keys or placed somewhere more permanent, like in the car. Simply touch a button and call your assistant. If you receive a text message, it will be read aloud. You can easily control your phone, your home or your information consumption all with this simple device. In addition to being a summoning button for your assistant, Jinni can also be used as a Bluetooth speaker. 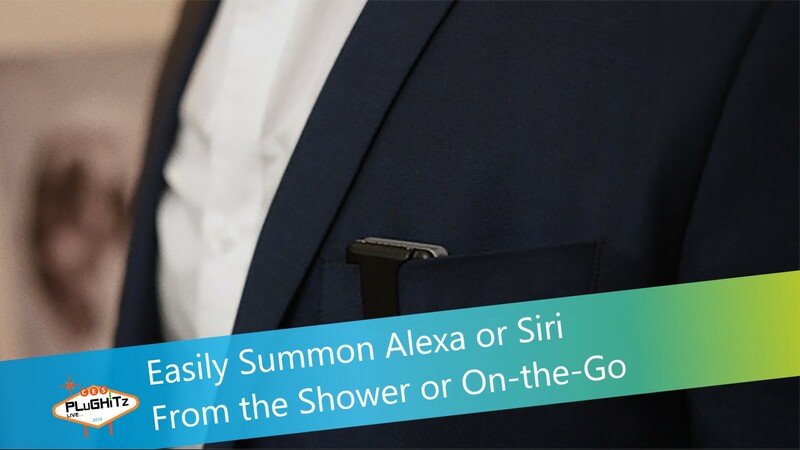 The device is waterproof, so you can even bring it into the shower to listen to music, and still keep all of the additional features of the device. PH Technical Labs is hoping to release Jinni in the second quarter of 2018.